← I want your two cents! It’s amazing to think, but agriculture as we know it has only been practiced for around 10,000 years. 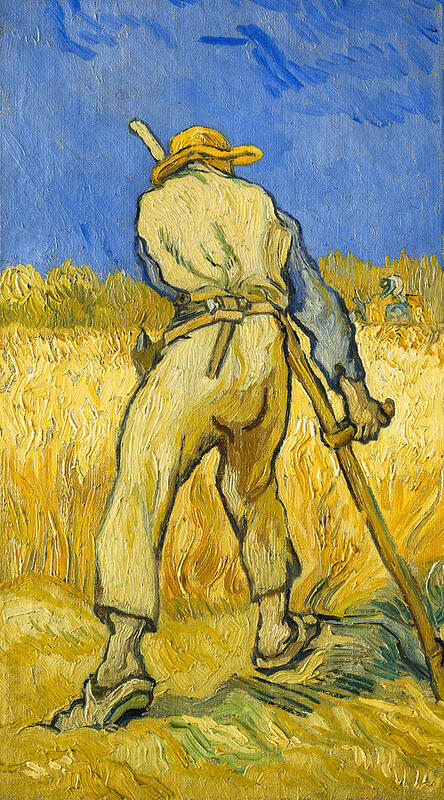 Many types of grains, such as wheat, barley and rye, were traditionally harvested by reapers who could cut the grain stalk with a scythe. Well, it’s getting on toward harvest time in our Country, so it’s time to buy tools made by members of our extended American Family that will allow you to bring in the harvest. I have done a few posts in the past on gardening tools, but since then I have discovered some more great American gardening tool brands. Florian makes all kinds of great pruners and loppers. As with so many great American companies, Florian is a family firm. 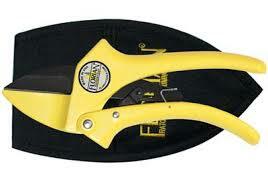 R. Stuart Florian founded American Standard Company in 1937, and developed the Rachet-Cut Pruning Tool in 1965. Florian is now run by one of Mr. Florian’s sons, Nathaniel, Nathaniel’s son Sean and Sean’s wife Beth. Willy the office cat also helps out when needed. Florian makes a wide range of garden cutting tools. My favorite is their standard hand pruner, the RP-701. The RP-701 can prune branches up to 3/4′ in diameter, has a high carbon spring steel pruning blade that is Teflon coated to resist pruning residue buildup. The handles of the RP-701 are fiberglass-reinforced nylon. The Cordura Nylon Holster allows you to safely store the RP-701 and is included in the $36.95 cost of the pruner. The RP-701’s patented Ratchet-Cut mechanism allows you to multiply your strength up to 700% when pruning; given the fact that I am somewhat of a softy, I need all the help I can get when pruning! For slightly bigger cutting chores, I suggest the Florian pruning saw. Florian tools are manufactured in the fine locale of Southington, CT. If you are in the area, stop in for a visit. 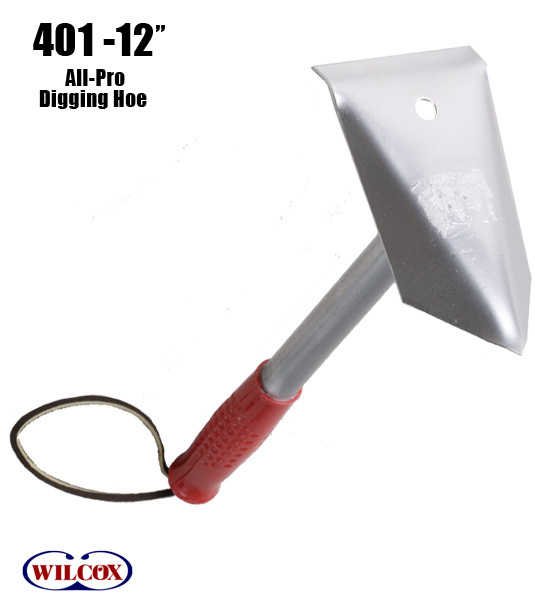 and the All-Pro Digging Hoe. If you want to try your hand at the old reaping business, you should contact Scythe Supply pronto. The proprietors at Scythe Supply build a Scythe using a Maine Ash handle (Snath) and an Austrian blade. 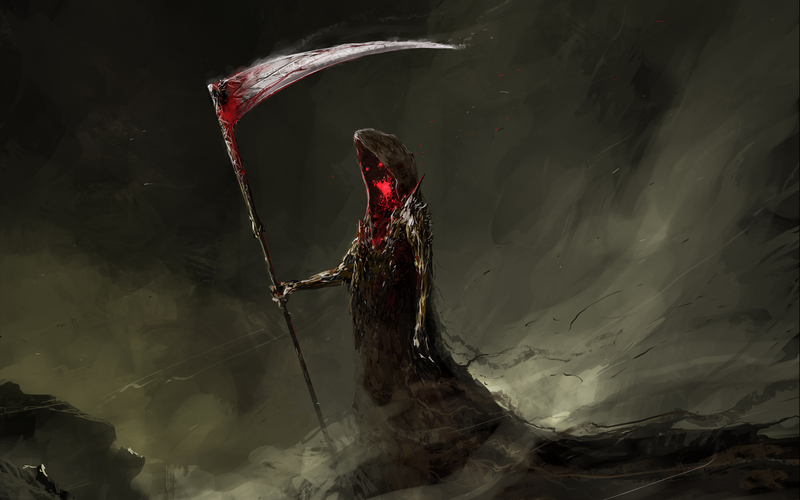 There is a great community relating to Reaping; one of the coolest sites I found was “The One Scythe Revolution.” If you can believe it, there are even reaping competitions. Here is a picture of last year’s world champion. Sadly he was French, but I am betting on an American champ this year. This entry was posted in american made, Food, Made in America, made in usa, recreation, Tools and tagged american made gardening tools, American made tools, Garden, gardening tools made in america, gardening tools made in the us, Pruning, Scythe, tools, us made gardening tools, us made tools. Bookmark the permalink. 1 Response to Not that kind of Reaper! Love our Florian pruner. Not is it only good in the garden, it made short work of some low hanging branches of the tree out front too!